If there is one thing that I've learned on this journey, it's that preparation is key to success. I knew that this first week back to work would be hectic, so I made sure I had plan as far as what I would be eating. I didn't have time for my usual meal prep this weekend, and honestly, I just didn't want to. I'm tired of the usual "healthy" meals that I can fix ahead of time. 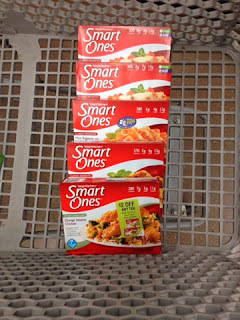 So I headed to the grocery and stocked up on Smart Ones entrees. They were on sale this week for under $2, so I'm thinking I probably even saved money by going this route. Now, my favorite is the Three Cheese Ziti Marinara, but I actually grabbed a few other kinds to try... just for variety. 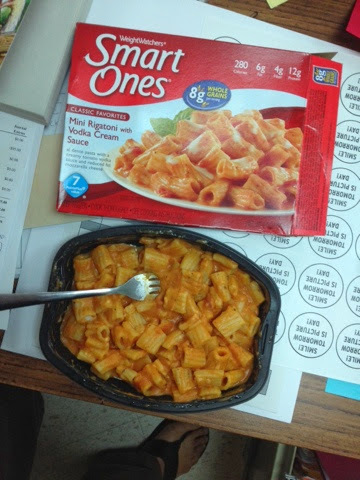 I really liked the Mini Rigatoni with Vodka cream sauce. Definitely a new favorite! 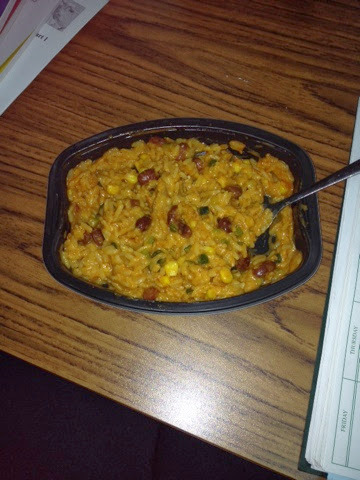 I also like the Santa Fe Style Rice and Beans. Another one to add to my list. My exercise has been great this week, so now if I can only stay the course and eat a sensible dinner each evening I'll feel so good about things, even if the scale isn't moving. I know I'm making healthier choices, and I'm TRYING and not giving up. I have to believe that the sum of all my efforts will eventually add up to something great. In the spirit of full-disclosure, I’ve partnered with the Smart Ones brand and received compensation for my participation in the clean slate project (cleanslate.com). However, all opinions given here are fully my own. I will have to try these. We have eaten Lean Cuisine and like them very well. But if you read my post, I was frustrated over the weekend. Mainly because I am such a procrastinator and it takes me forever to get started. I am not a young woman, so I need to get busy.. If you want to lose weight permanently, then visit: https://www.youtube.com/watch?v=lqrV5iSrKTo. Thanks to the great diet plans and workout routines, I'm currently in the best shape of my life and look great. Furthermore, the weight is staying off! However, remember there are no shortcuts or magical secrets to a great body - it's simply a result of hard-work and not giving up! I've been honored to meet some of these folks and totally agree with your choices, great bloggers! Update and more Smart Ones reviews!